Makes 18 (2 Tbsp. 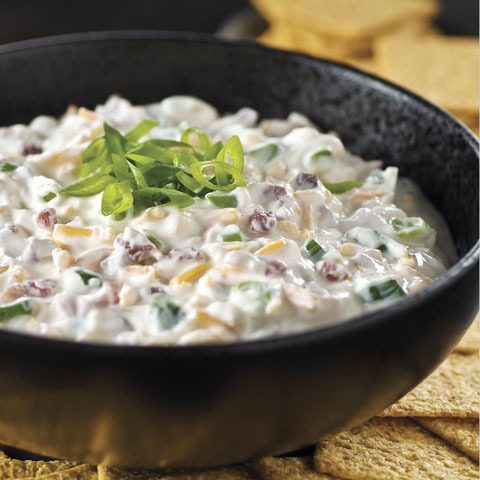 dip + 7 crackers) servings. 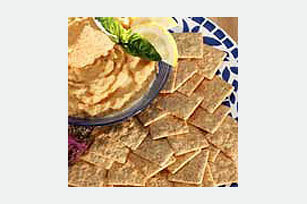 This Mediterranean appetizer of eggplant, onion, green pepper, tomato, garlic and seasonings is cooked briefly and served warm over crackers. Cook eggplant, onion, green pepper, 3 Tbsp. parsley, garlic, lemon juice, sugar and Italian seasoning in oil in large skillet on medium heat 5 minutes. 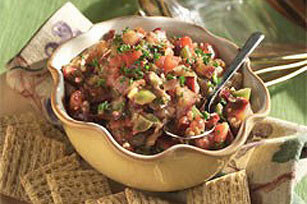 Add tomato; simmer 5 minutes or until vegetables are crisp-tender. Spoon into serving bowl. Sprinkle with remaining parsley. 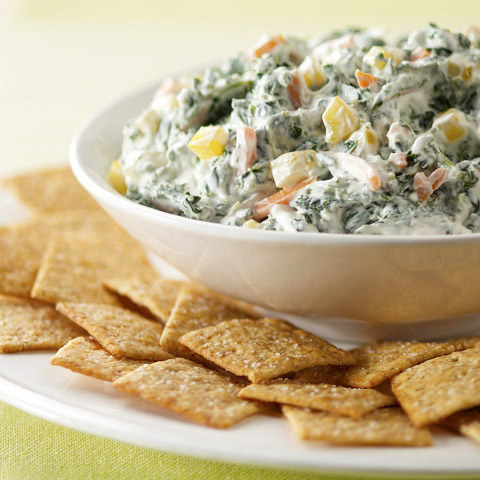 Serve immediately with crackers or refrigerate until ready to serve. Storage Know-HowStore eggplant in plastic bag in vegetable crisper in refrigerator for up to 5 days. 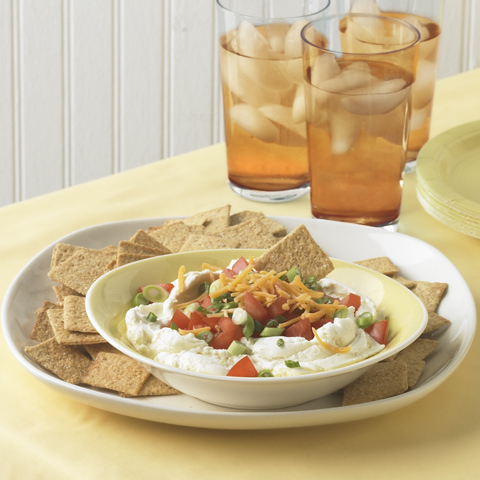 Relish the Mediterranean flavors of this Ratatouille Dip served with crisp crackers. It can help you eat right!